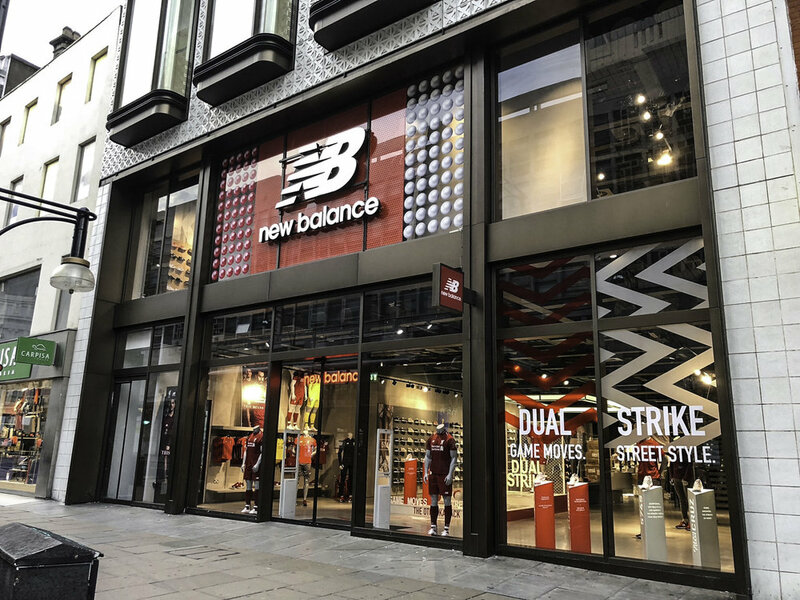 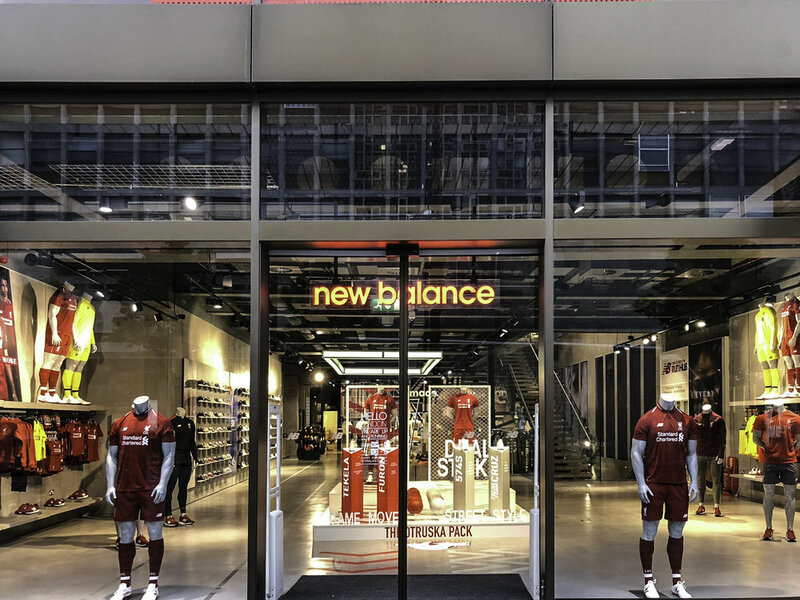 Part of my responsibility on the internal design team is to execute some of our agency stories in our New Balance stores. 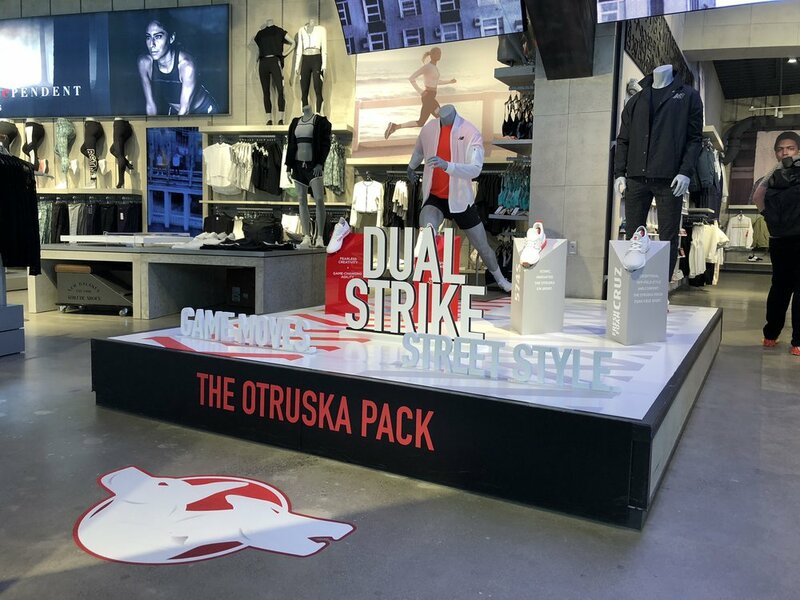 For the World Cup in Russia our teams in the UK partnered with the agency ZAK to create a great holistic story of both on and off field under the name Otruska. 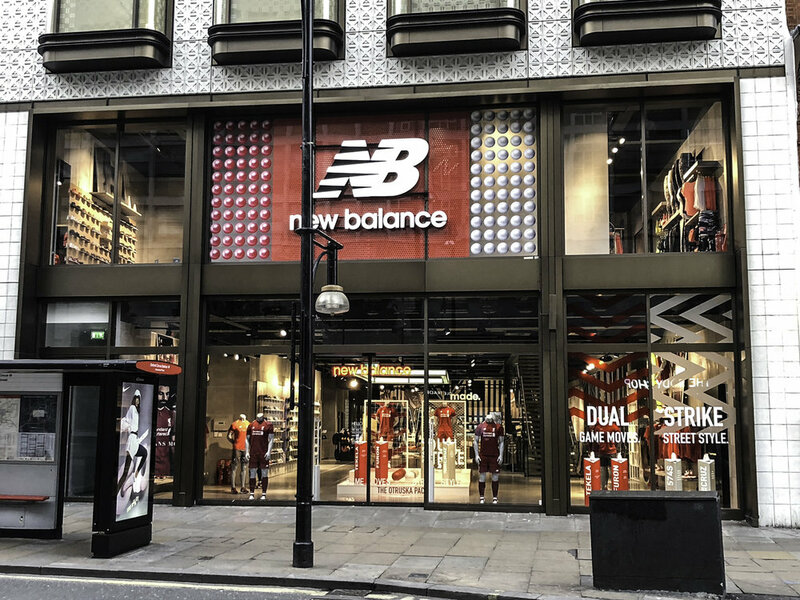 Where I come in is to asses the key visuals and get a feel for how it can come to life within our stores in environment. 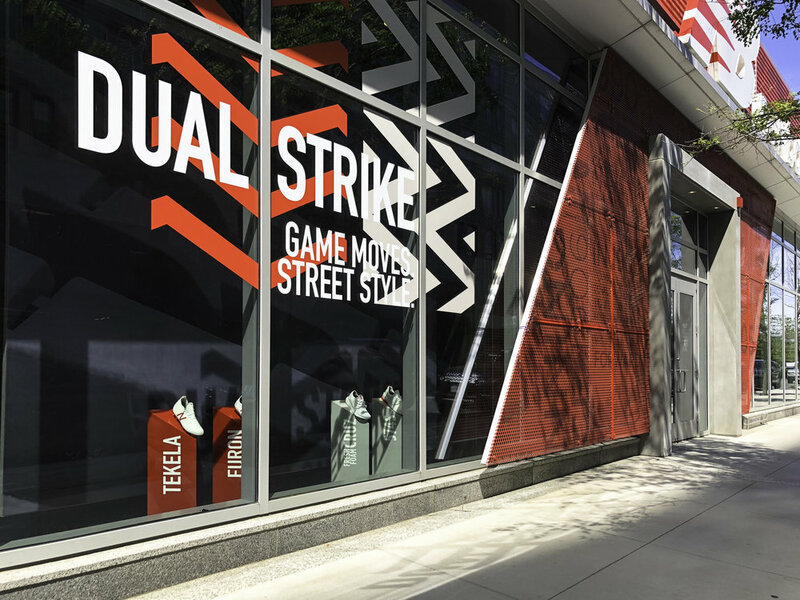 The process begins with renderings and mock ups to get buy in from our retail & visual merchandising teams, from there we work with vendors to test materials, lighting, etc. 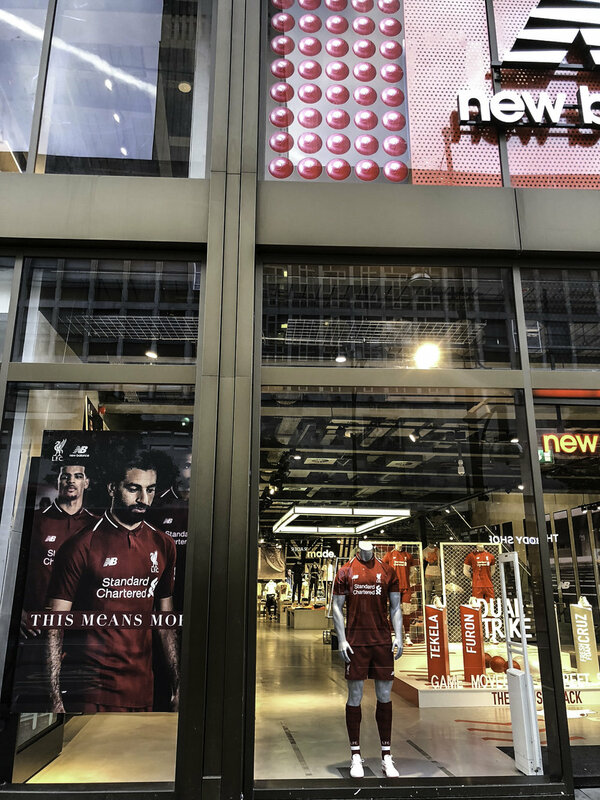 Once we have landed in a good spot with our vendors in both execution & budget we begin to build out across our US & Global stores. 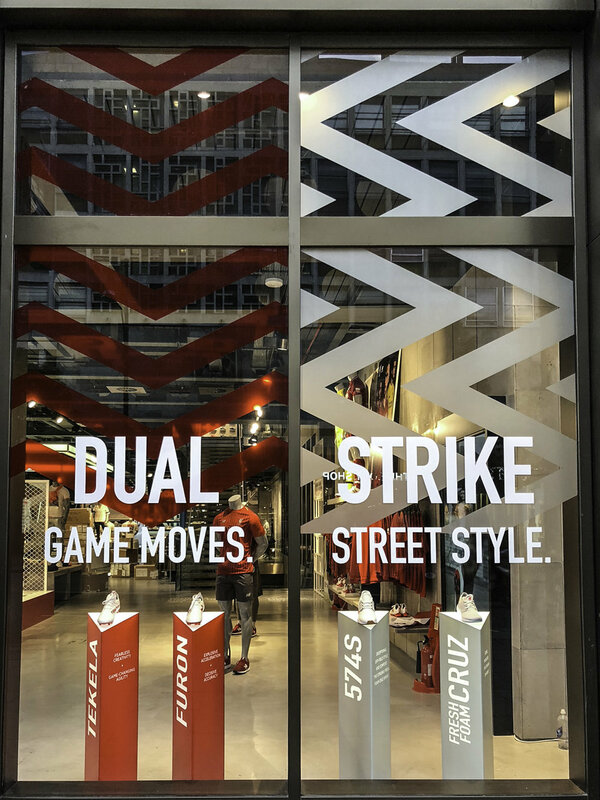 In the images below you will see two executions, one from our London flagship store on Oxford St and another from our NBHQ store here in Brighton, MA.